For the first several years of his WWF career, the Undertaker was seen as a solo star. Through the years, he had been a solo entity with Paul Bearer in his corner until Bearer turned against Taker and began a feud with him. Shortly after their feud got underway, Bearer hinted at Taker having a brother who was believed to have died in a fire, but he rose from the ashes. As silly as this is now, then it was a huge deal and it led to what would become an epic feud. 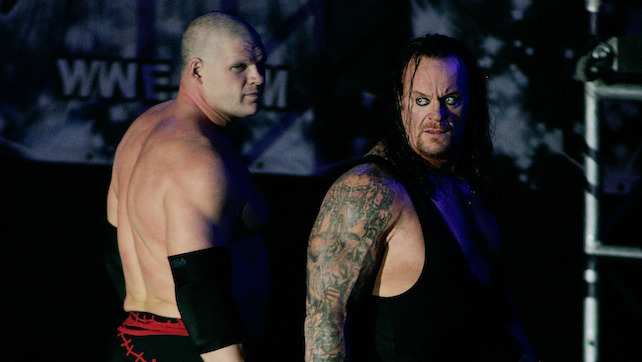 Undertaker's brother was named Kane, and shortly after their feud, Kane and Taker would join forces briefly. The brotherly reunion was short lived in 1998, but we got a glimpse of how well these two could work together. After feuding with each other again briefly in 1999, Taker went on a hiatus for months, before returning in 2000. 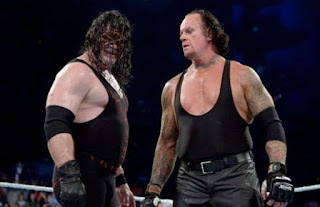 Once Taker returned, we got to see the two team up as Taker was well into his American Badass persona, but that was short lived as well, with Kane turning on Taker. 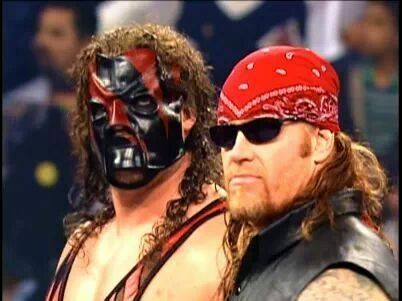 After another short feud against each other, Taker and Kane would go on to reunite in late 2000, just in time for the Royal Rumble 2001. The Rumble made their reunion official and throughout 2001, these two would stick together. 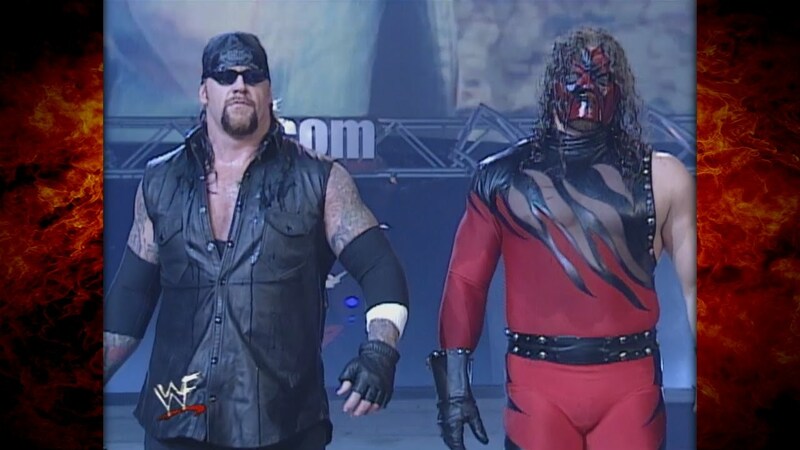 Starting with their first PPV tag team title match at No Way Out 2001 against The Dudley Boyz and Edge & Christian, Taker and Kane would make their presence felt in the tag division. 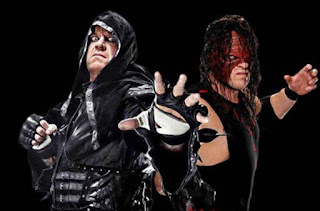 After coming up short in their quest for the tag titles, Kane and Taker would briefly feud with Rikishi and Haku leading into their respective singles matches at Wrestlemania 17. After that brief feud, we got a full fledged tag team and a name. 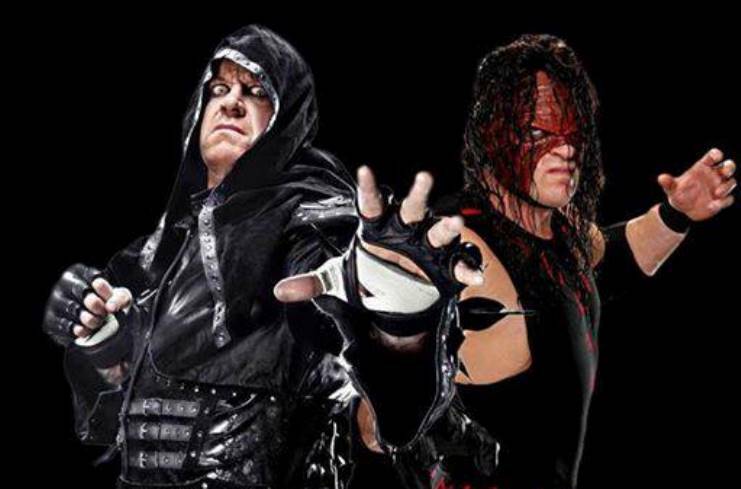 They were now the Brothers of Destruction and they had their sights set on tag team gold. It wouldn't take long for them to accomplish that goal. 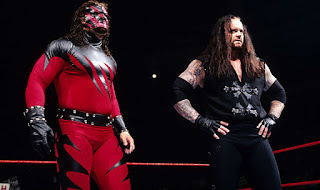 Since Taker was involved in a singles feud with Triple H, who had just teamed up with Stone Cold Steve Austin, we would end up getting a huge tag team feud between Taker and Kane vs Triple H and Austin, and the stakes got raised even higher when Taker and Kane won the tag team titles from Edge and Christian. At Backlash 2001, Taker and Kane lost the tag titles to Austin and Triple H, and continued their feud into Judgment Day 2001 in singles matches. 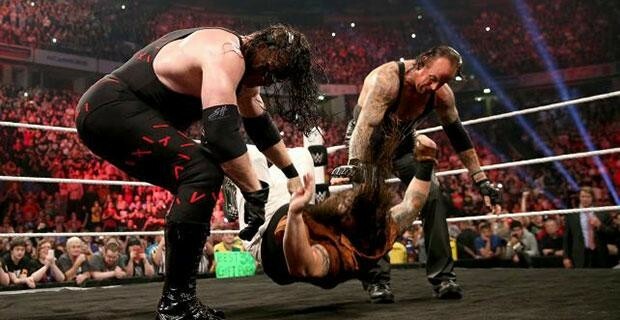 After this feud ended, we would then see a feud brewing between Diamond Dallas Page and The Undertaker. 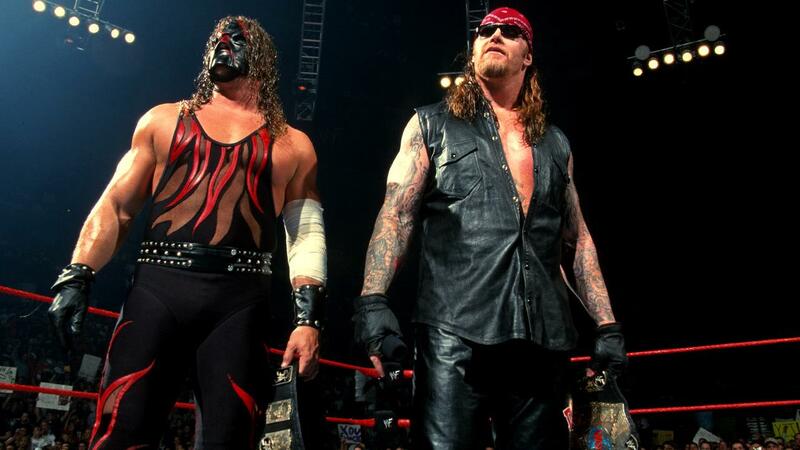 As Chris Kanyon came in to help team with DDP, Kane and Taker would team up for battle against these two as well. 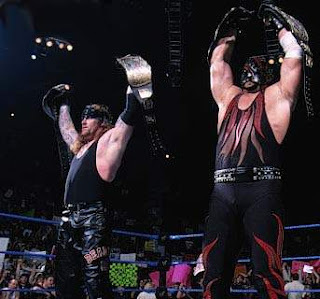 After defeating The Natural Born Thrillers for the WCW Tag Team Titles, The Brothers of Destruction would end up unifying those belts with the WWE Tag Team Titles for a moment after a huge cage match against DDP and Kanyon at Summerslam 2001. 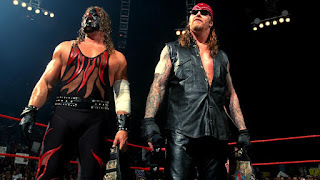 After losing their WWF Tag Team Titles to The Dudley Boyz, The Brothers of Destruction would briefly feud with Kronik before that team fell apart and went away. They would lose their WCW Tag Team Titles to Booker T and Test before going their separate ways again after Survivor Series 2001. Years would pass and the Brothers of Destruction would feud with each other off and on, including a Wrestlemania 20 contest that signaled the return of the Undertaker to his Deadman persona. The Brothers of Destruction would briefly reunite in 2005 during their respective feuds with Snitsky and Heindereich, but that, like most of their reunions was short lived. Their next official reunion came in 2006 via Smackdown, as they would feud together against MVP and Mr. Kennedy, as well as Booker T and Finlay briefly. After their 2006 reunion, we didn't see the two together often, but they did team sporadically through 2007, 2008, and 2009, before feuding once more in 2010. 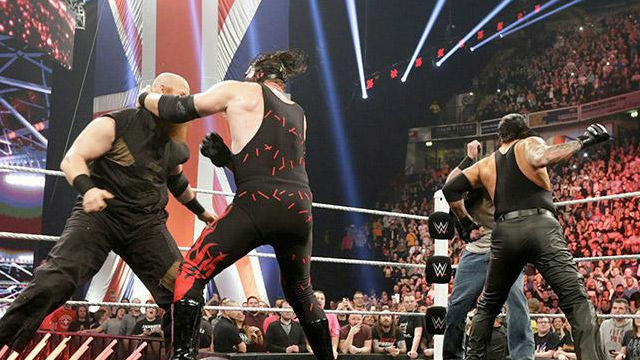 The final chapters of their team came through 2012, 2013, and 2015, first starting in 2012 when the two reunited for a special segment at RAW 1000, and again in 2013 when Undertaker helped Kane and Daniel Bryan take on The Shield. The last chapter of this team came against The Wyatt Family, and it took place at the event Taker debuted at, Survivor Series. 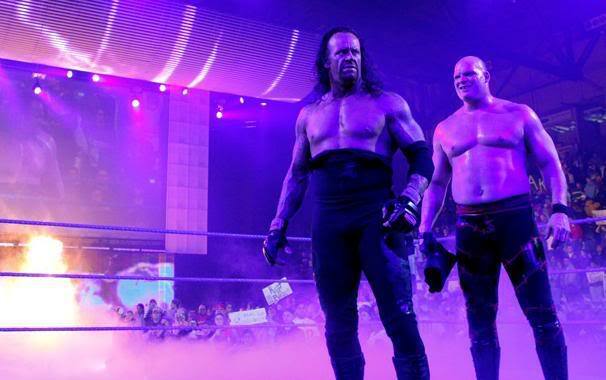 The Brothers Of Destruction weren't an all time legendary team, but their legacy rests well within each man's career and they are still a great team to observe and watch. If only they could have got a longer title reign during their time together.